MOCA is a strong proponent of the transformative power of art. Since the inception of the museum, MOCA educators have worked with the community to use creative expression as a tool for better communication and empowerment. Since 2008, the museum has partnered with Miami-Dade County Public Schools by supporting programs in museum and communications studies at North Miami Senior High, North Miami Middle School, and W.J. Bryan Elementary School. Women on the Rise! 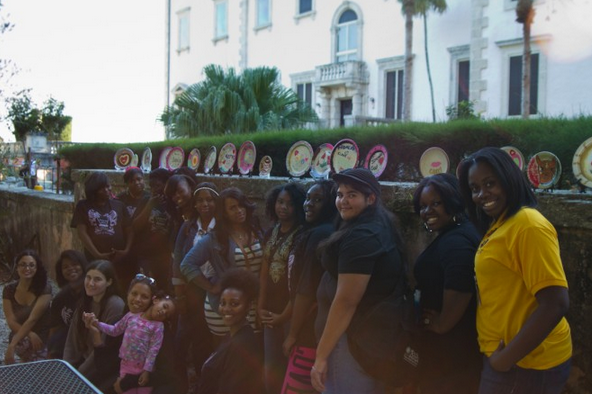 is a unique gender-specific outreach program that presents the work of contemporary women artists such as Ana Mendieta and Carrie Mae Weems to teenage girls ages 12-18 who are served by social justice organizations such as Urgent, Inc. and Thelma Gibson Health Initiative, among others. MOCA educators visit these institutions and use contemporary art to inspire girls to engage in critical dialogues about body image, relationships, and culture through hands-on art projects, visits to exhibitions, and meetings with noted women artists. The goal of the program is to increase girls’ self-esteem, critical thinking skills, and access to arts and culture. Art Corps is MOCA’s new outreach program serving teens and young adult males by exposing them to Contemporary Art and using self-expression as a tool for better communication and empowerment. Modeled after MOCA’s successful Women on the Rise! 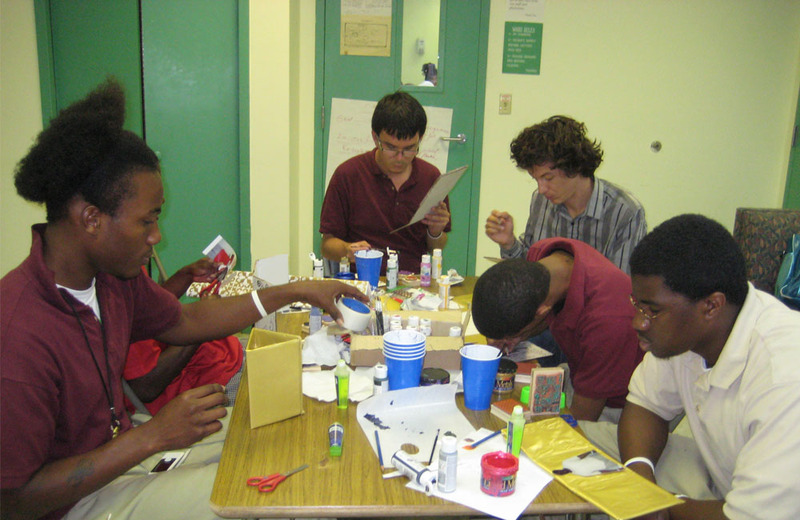 program, MOCA Art Corps meets the needs of underserved males by engaging them in conversation and activities that promote social awareness and improved social and communication skills. The program utilizes readings, visual presentations of artists’ work, language-building discussions, and hands-on activities that relate to artwork discussed in the workshop. 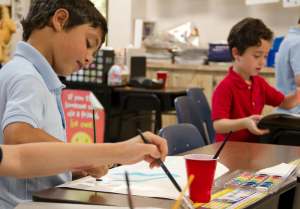 MOCA works closely with mentally and physically challenged children, teens and adults through partnerships with Jewish Community Services (JCS) of North Miami, and Miami-Dade County Public Schools Exceptional Student Education (ESE) program. HeART to HeART is a unique, year-round program consisting of 90-minute workshops that include a tour of MOCA exhibitions and related hands-on art projects designed to improve social, cognitive and motor skills. Custom Designed Museum Art Programs are available for your school or organization. MOCA art instructors travel to locations through the community to teach children about modern and contemporary artists and engage them in hands-on art projects. 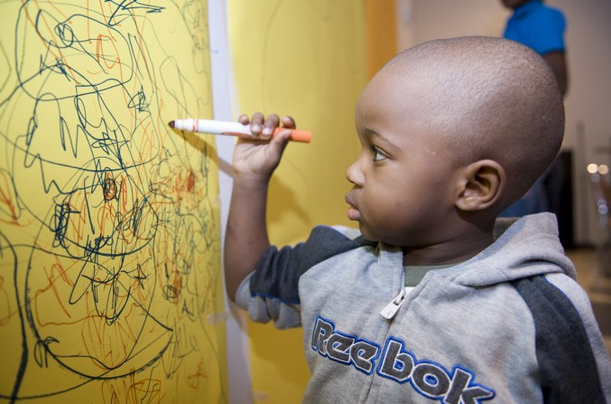 Customized curriculums for all ages and skill levels, from toddler through high school, can be designed. Classes are offered on a weekly or monthly basis. Each workshop includes art supplies, teacher resource guides.